Enjoy all the activities in a lovely privately owned 2nd floor condo unit along the scenic Treasure Coast just steps from the beach. All the comforts of home are offered. Great for seniors and family friendly! 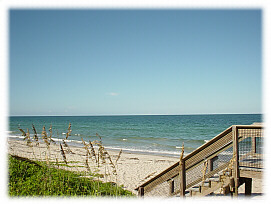 Hutchinson Island remains one of the last stretches of beach where man can live but nature prevails. Guests enjoy a wide range of activities during their stay to include two heated swimming pools, a Jacuzzi, a fitness room, tennis, state parks and miles of beaches. 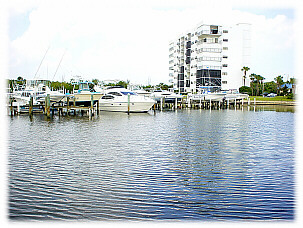 You are within 1/2 hour of Florida's premier fishing location, Sebastian Inlet. All of the amenities for less than a cost of hotel room on the beach. A spacious kitchen with bar and an adjoining dining room are suitable for quick snacks or full cooked dinners. 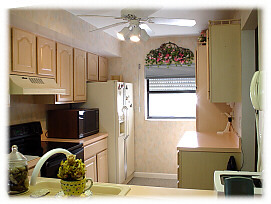 Full kitchen including dishes and all amenities. The living room opens onto a corner unit balcony overlooking the ocean. Outside off-street parking next to unit. Other activities/entertainment: Activities include charter fishing trips, manatee observation tours, sunset cruises along the Indian River, turtle nesting tours, jet skies and lovely evening walks on the beaches. Two hours drive to Walt Disney World, Sea World and many attractions in Orlando and the Miami or Palm Beach attractions. May, June, July, August, September 2004 - $1,500. 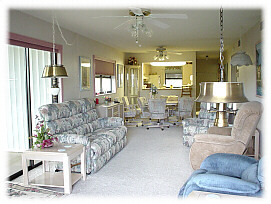 Seasonal rentals starting in October, 2004 through April 2005 - $2,400 per month. Deposit needed 4 weeks in advance for monthly rentals to guarantee your reservation.